Are you ready to break free from the inside world and take your workouts outdoors? Then join us at Vigeo Health and take on our heart-racing Bootcamp workouts in the beautiful Fort Canning Park! There's no better way to build your body and enjoy the sights and sounds all at once. 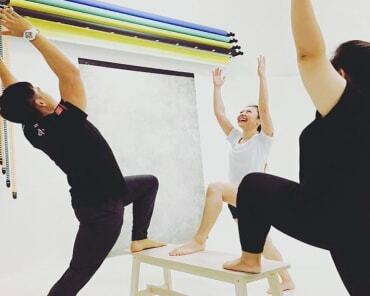 This total-body training system is unlike anything else in Singapore, offering men and women of all skill levels a cutting-edge workout that produces real results. Get started today or learn more by simply filling out the short form on your screen. What Can You Expect From Our Bootcamp Training? The truth is, every class is different. We don't want your body to fall into a routine. But these Bootcamp classes are built around the concept of a high-intensity interval workout that keeps your heart racing from start to finish, giving you only momentary breaths in between movements. ...to keep you on your toes and help you walk away feeling more accomplished than ever before. The key to any successful training program is ongoing motivation. Unfortunately, that's tough to come by when you train in the same way week after week. That's why we're changing it up at Vigeo health. Our Bootcamps give you a fitness system that few others in Singapore can offer and we do it all from pristine Fort Canning Park. Week in and week out, you can stay motivated and driven to give it your all, challenging yourself to get faster, move more efficiently, and push harder than you did last session. Ready To Get Started? Our Bootcamp Training Is Changing The Way Singapore Trains! Break free from your routine and take your workouts to the next level with our Bootcamp training at Vigeo Health. We're proud to work with men and women of all skill levels and abilities. And we're excited to share the incredible landscape of Fort Canning Park with you. Just fill out the short form on your screen to join us in Singapore today for the best training in town!